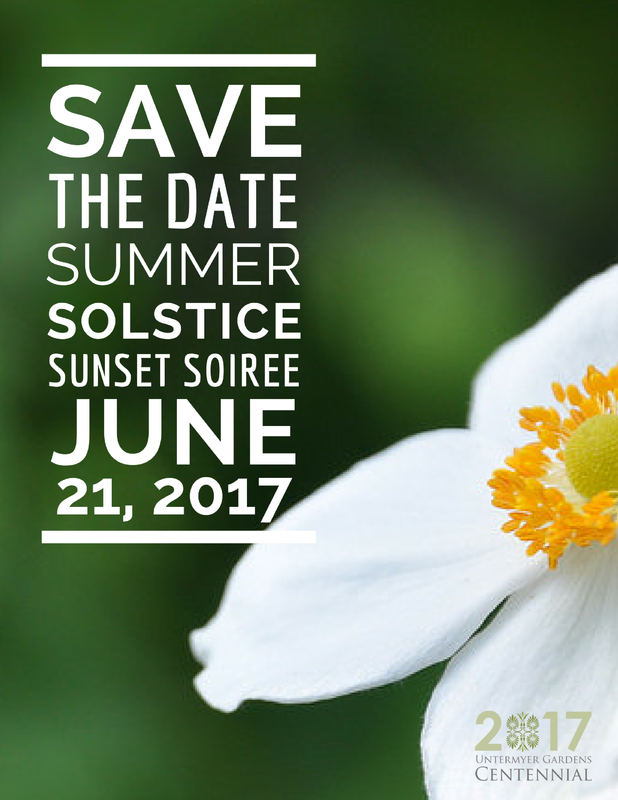 The 2017 Summer Solstice Sunset Soirée will take place on June 21, 2017. We will be honoring Michael Bakwin and celebrating the Untermyer Gardens Conservancy and the centennial of the gardens. Tickets will be on sale beginning in early May.